Find all guideline recommendations in slide format. The 2019 ACC/AHA Guideline on the Primary Prevention of Cardiovascular Disease to consolidates existing recommendations and various recent scientific statements, expert consensus documents, and clinical practice guidelines into a single guidance document focused on the primary prevention of ASCVD. 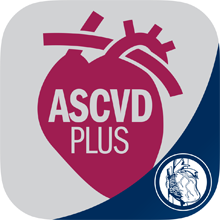 However, this guideline also includes newly generated recommendations for aspirin use, exercise and physical activity, and tobacco use, in addition to recommendations related to team-based care, shared decision-making, and assessment of social determinants of health, to create a comprehensive yet targeted ACC/AHA guideline on the prevention of ASCVD.